Over the years we’ve worked on thousands of successful fundraising campaigns. So it’s safe to say very little surprises us anymore. It’s understood that when we pry open a database, it’s usually pretty dusty. We generally find a lot of duplicates, along with all sorts of empty or misused fields. 20 years ago, when it came to data, the only thing that mattered to a lot lot of fundraisers when it came to data was the name and address field. But data-driven campaigns have been proven over and over again that they can substantially increase the response rates of donors. That means the old name and address field is the bare minimum. Yet, surprisingly, a lot of fundraisers don’t even get that right. Clean — and detailed — data is probably the single most important factor in getting your response rates higher. That’s because data, when applied to print using a variable data printing solution allows you to customize every aspect of your direct mail, making sure that you craft an engaging message that resonates at an individual level rather than sending out a generic appeal. Let’s take a look at a real-world scenario with an actual client. 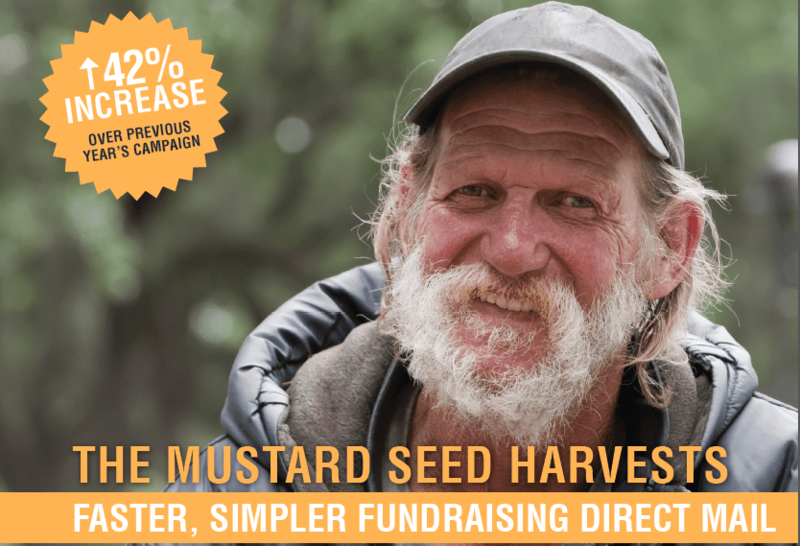 The Mustard Seed (theseed.ca) provides shelters and services for basic needs, plus housing and employment services to address long-term needs of Albertans who are homeless or living in poverty. OVER 60% OF THE CHARITY’S BUDGET EACH YEAR COMES FROM DONATIONS. The Mustard Seed needed four projects completed. All were letter-format in #10 envelopes, segmented by past giving behaviour, city, and PRIZM clusters. We ran some of our proprietary data hygiene applications across the donor database and improved the quality of tens of thousands of records. These were then re-imported into the house files at The Mustard Seed. Voila! Better resources at their fingertips. And by using our new élan printer, offering one-step printing, we were able to shrink the variable print production schedule from five days into a single morning — while offering full customization on both sides of the page at a print quality that has not previously been available. 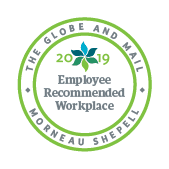 “We were thrilled with the results,” says Greg Wagland, Manager of Annual Giving at The Mustard Seed. 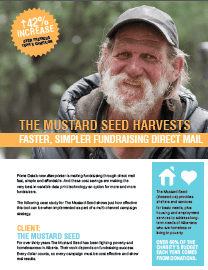 Is your fundraising mail headed for a shredder? Will Bad Data Kill Your Fundraising Campaign? Increase in Response Rates By Using Clean Data Is your fundraising mail headed for a shredder?